We were now a family and we were doing things that regular families do. 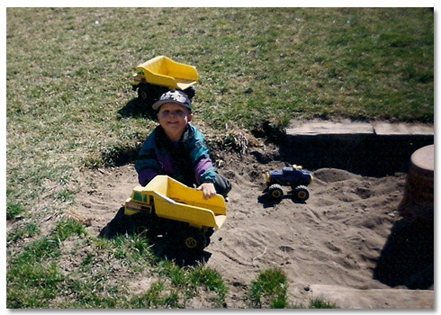 Dad made us a sand pit in the back yard so we could play with our Tonka trucks, we were enrolled in swimming lessons and we had a dog and cat. 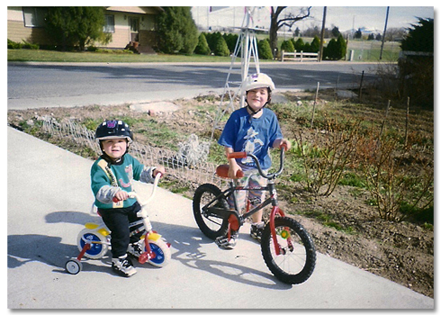 Mitch and I would ride our bikes around the neighborhood and Grandpa Scott even built us a jump for our bikes. I would get high centered because I was so small, but I sure felt like one of the big guys when I would ride with Mitch. It was a great life. One weekend we went fishing with the rest of the family at the trout pond. It was a lot of fun and the fish were really big. 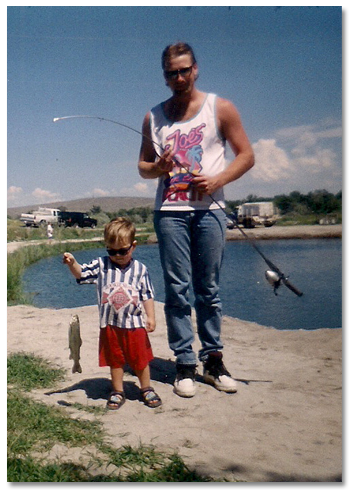 Dad helped me reel in my fish. It was a fun day, but mom and dad noticed that my eye was starting to cross. It concerned them and mom decided to take me to the doctor on Monday. Our great life was about to change.